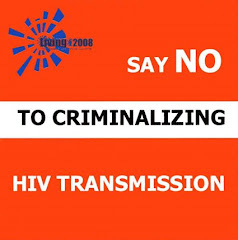 LOBATSE - The issue of criminalising intentional transmission of HIV received mixed reaction from residents of Lobatse and surrounding areas. While some accepted the idea of making intentional spread the disease a criminal offence, others were totally opposed to the idea. Opponents of the idea felt that criminalising the disease would erode the success the country had made in fighting stigma associated with it. Speaking during a public hearing on HIV/AIDS by MPs, one of the residents commented that infecting someone with the disease was like putting poison in someones food. Critical of criminalising the disease was a youth, Ms Neo Komanyane who argued that those who spread the disease were those who did not know their status. She argued that testing was the best preventive method instead of criminalising the disease. Some residents felt that criminalising the disease would further discriminate it thus worsening the stigma. They also argued that people who knew their status were living positively and therefore, would not willfully spread the disease. Residents suggested that an expectant couple be required to take an HIV test in order to save the child. They noted that refusal by the couple to take the test should be regarded as a criminal offence. Also MPs heard that non-disclosure of HIV status to a partner should be criminalised. On whether people should pay for HIV treatment most of the audience felt that doing that would alienate most of the people from getting treatment.